24345 South Dorothy Drive Crete, IL. | MLS# 10057043 | Welcome Evers Realty Group, your number one source on the web for NW Indiana Homes for Sale, Chicago South Suburban Homes and Indiana & Illinois Real Estate. 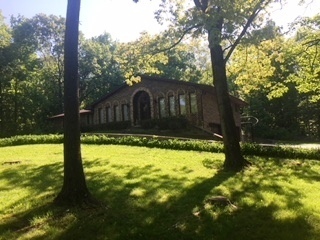 Brick 2400+ square foot ranch with 6 car garage parking on a beautiful wooded 2.5 acre site in secluded Marycrest Woods. Features include 3 large bedrooms including master suite, 2 full and 2 1/2 baths, family room with fireplace, formal dining room, full finished basement, attached 3 car garage and detached 3 car garage. Recent updates include newer roof ( 7 Yrs. ), new AC (8 yrs.) and new HWH ( 7 yrs. ), Great location and a great value.